The Dress-Up coat rack by Nomess Copenhagen belongs to the subtle and functionally simple furnishings – like all the items produced by the Scandinavian manufacturer. The Dress-Up hall stand subtly fits in every home with its simple, practical, and still decorative exterior. 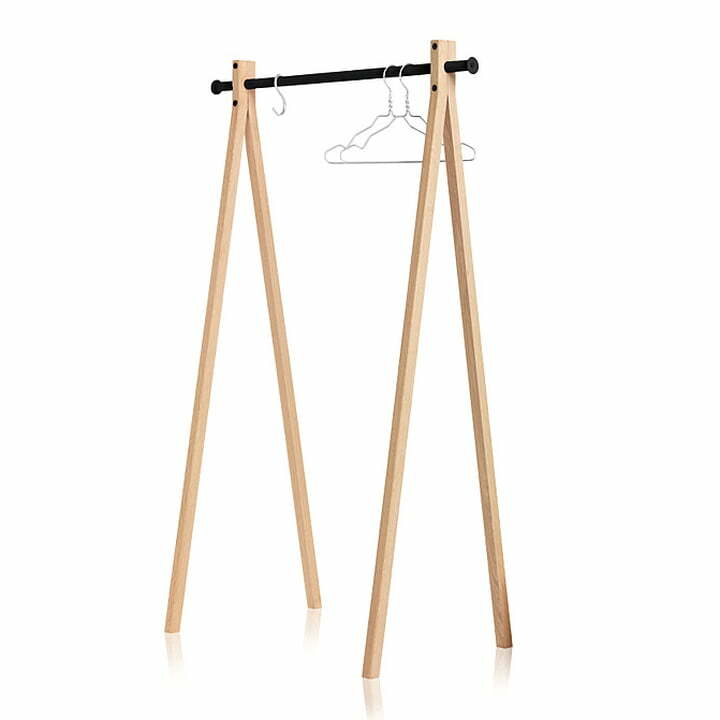 It is made out of oak wood, which is the reason why the coat stand adapts to every home individually with its precise design and the soft colors. The Dress-Up clothes rack renounces unnecessary ornaments and it bets on functionality instead, as do all the other design objects made by the manufacturer Nomess. This is how it ensures a subtle frame for your clothes – whether as a coat rack in the hallway or as a modern clothes rack in the bedroom. The simple stand of natural oak wood holds a black or a white aluminum tube for clothes to be hung on. 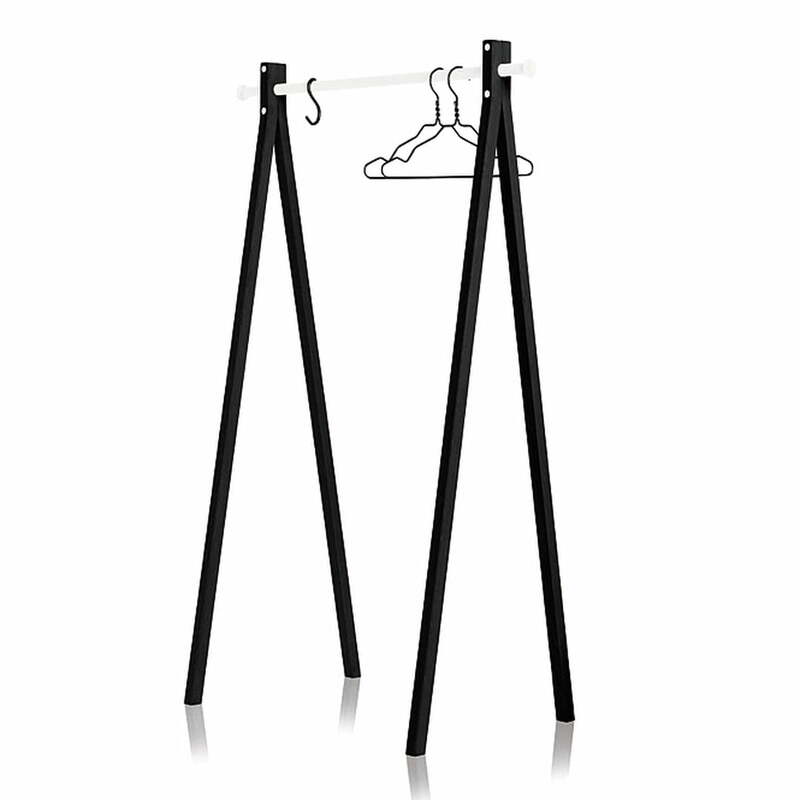 Nomess offers the coat rack in different sizes: with a 90 cm and a 120 cm aluminum tube. 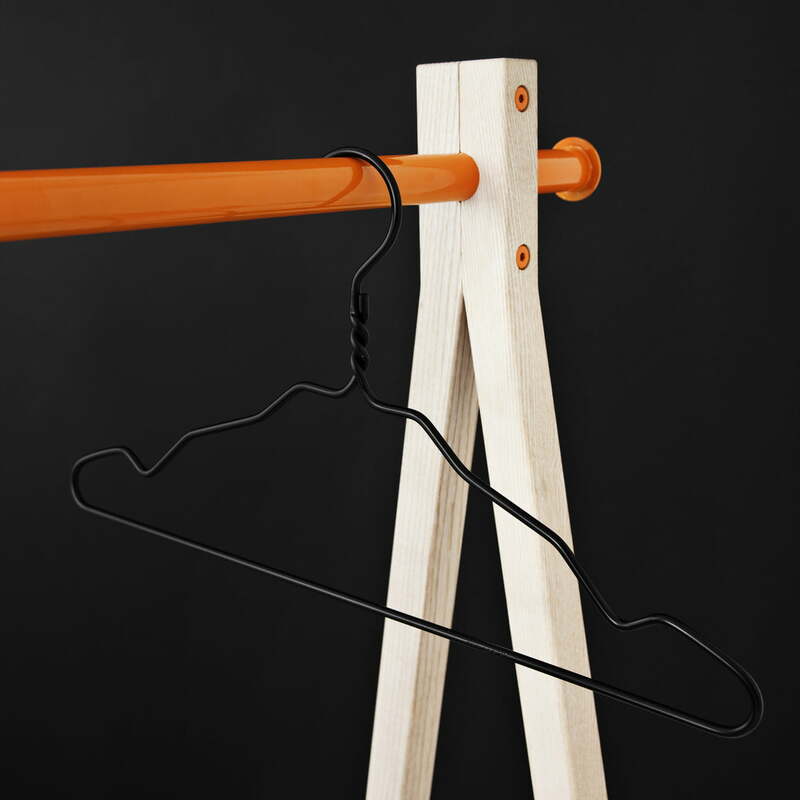 Group image of the Dress-Up Coat Rack made of ash wood with one black and one orange coloured clothes rail by Nomess. The clothes rail is 90cm long and the rack is 147cm tall. 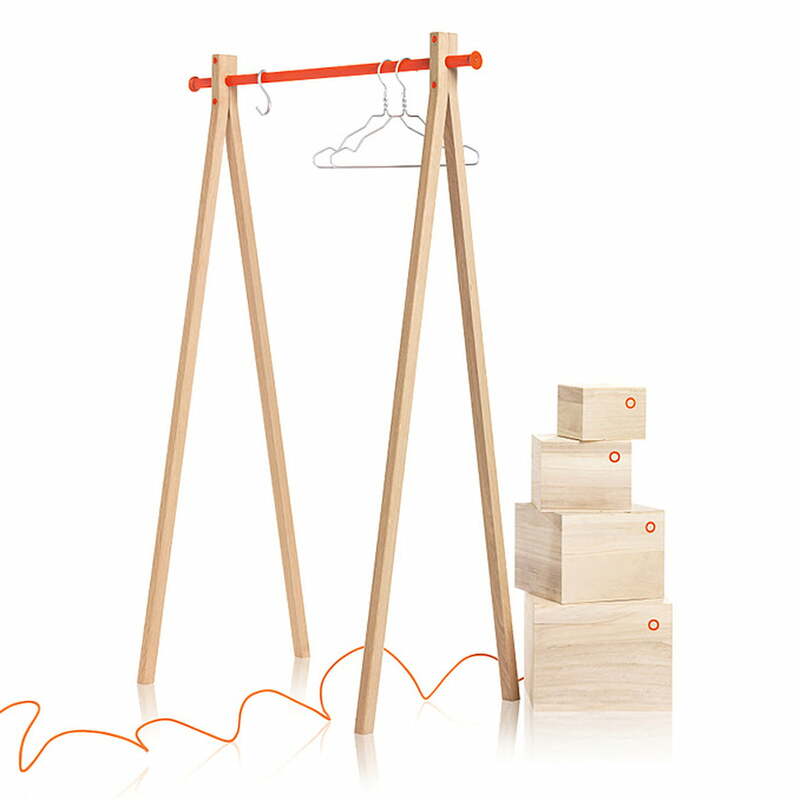 Image of the Dress-Up coat rack by Nomess in ash wood with orange clothes rail together with four stacked Balsa Boxes.The coat rack is 147cm high and 90cm long. The Dress-Up coat rack from Nomess is a modern kind of wardrobe. 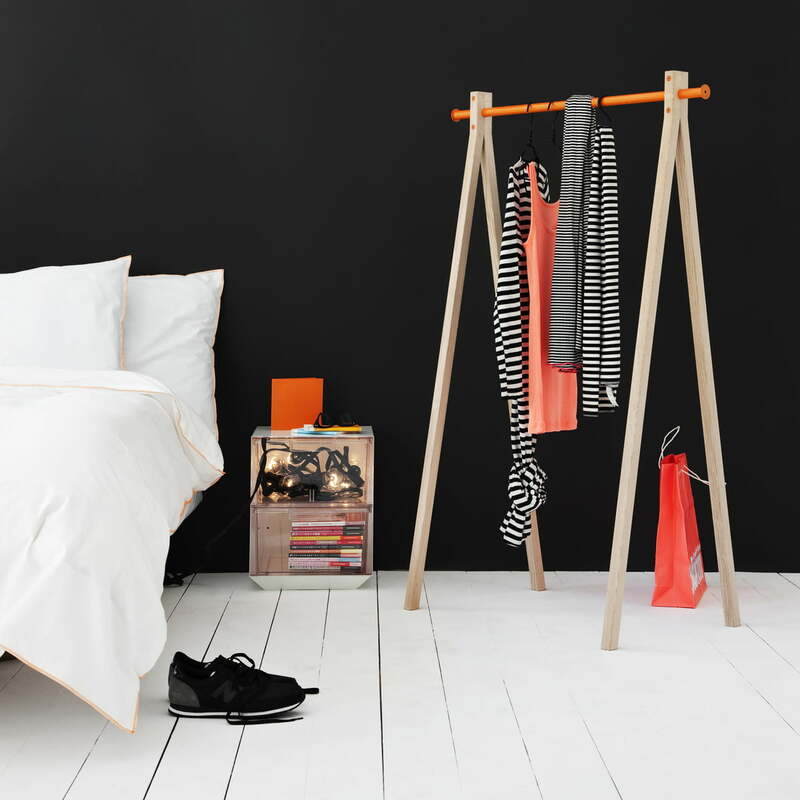 The ash wood and the clothes rail in orange are friendly and modern and provide for a beautiful atmosphere in your bed room. No more folding of clothes: Today your favourite clothes is simply hung on your coat rack Dress-Up by Nomess. It consists of ash wood and has an orange clothes rail. 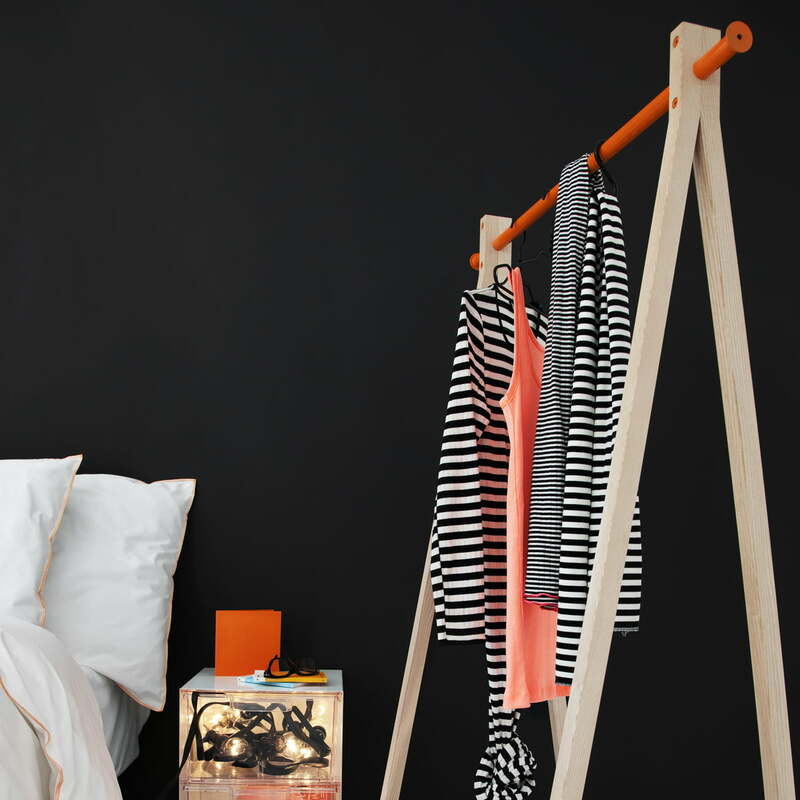 Boring wardrobes belong to the past: The Nomess Dress-Up coat rack made of ash wood with orange clothes rail is a design object in your bed room and proves your sense of taste. 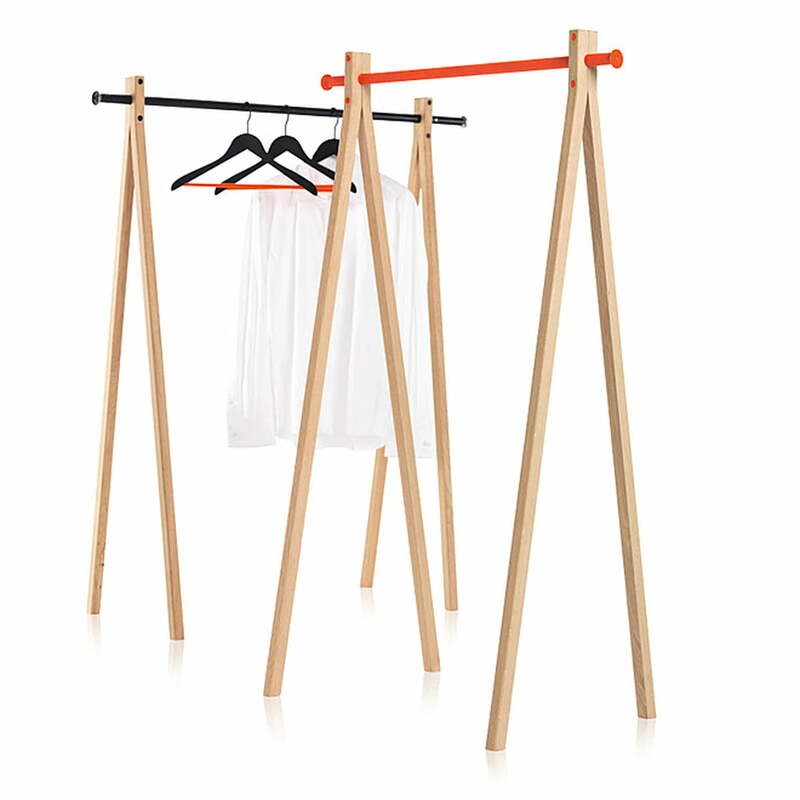 The Dress-Up Coat Rack by Nomess is made of ash wood and brings some colour in the bed room with its orange clothes rail. Nomess focuses on solid, robust materials. The Soft Hangers fits perfectly to the design coat rack. Nomess counts on solid, robust materials. 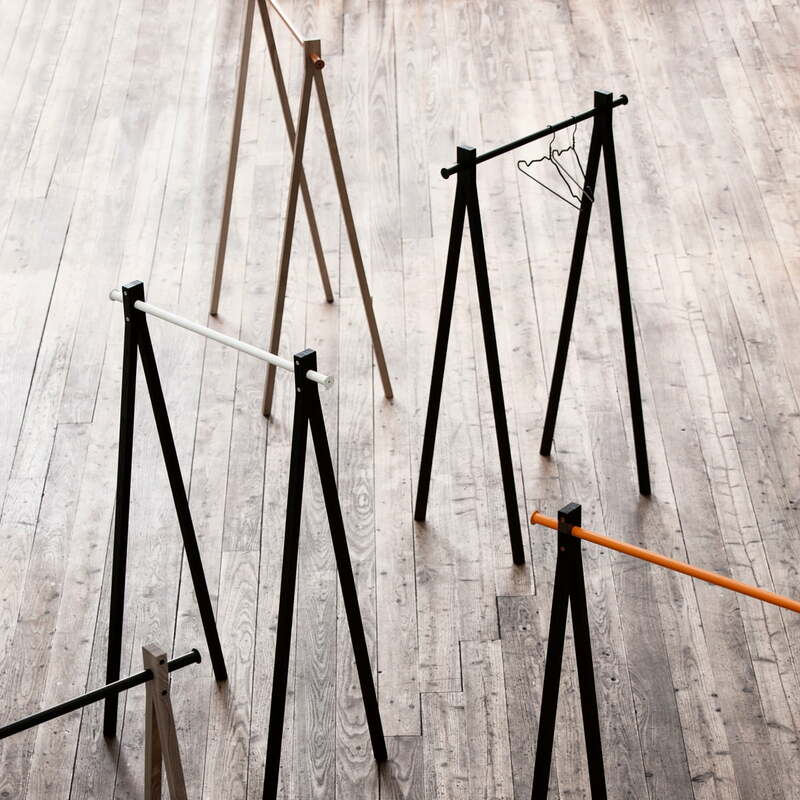 The Dress-Up coat racks are made of natural ash wood, ash in white or black and with clothes rails in white, orange, black and Alu Hangers they make an absolute highlight.